T-minus ten days until Turkey Day! Who’s ready? I’m ready to show the right way to prepare your tablescape staple with Honeysuckle White. 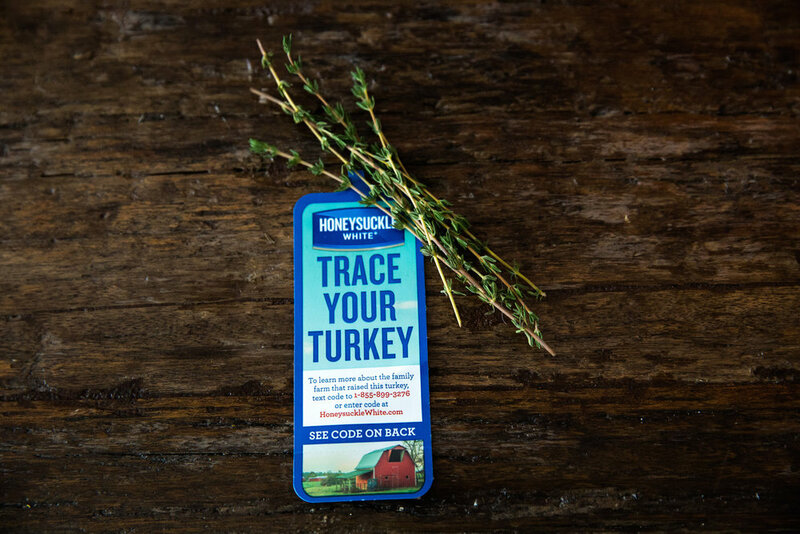 This Thanksgiving, through a simple text or on-package code entered online, you have the opportunity to trace Honeysuckle White turkeys back to the family farm where they were raised — and learn about the farm, too! Following a successful pilot program last year, traceable Honeysuckle White turkeys will be available this year in a greater quantity (three times more than last year!) and in more markets. More than 200,000 traceable turkeys from Honeysuckle White will be available for the Thanksgiving table this season. If you didn’t know, Honeysuckle White exclusively works with 700 independent family farmers, 140 of which are participating in the traceable turkey program, and this is the only major turkey brand to pilot an effort to introduce consumers to the farmer who raised their holiday turkey. I was able to experience and meet an independent Honeysuckle White family farmer last month in Missouri, where owner Roger Plemmons walked us through his sustainable methods to raise and certify turkeys with no growth hormones or antibiotics. We suited up for the adventure, consistently in awe of the process that Roger’s three-generation family hires from step to step. 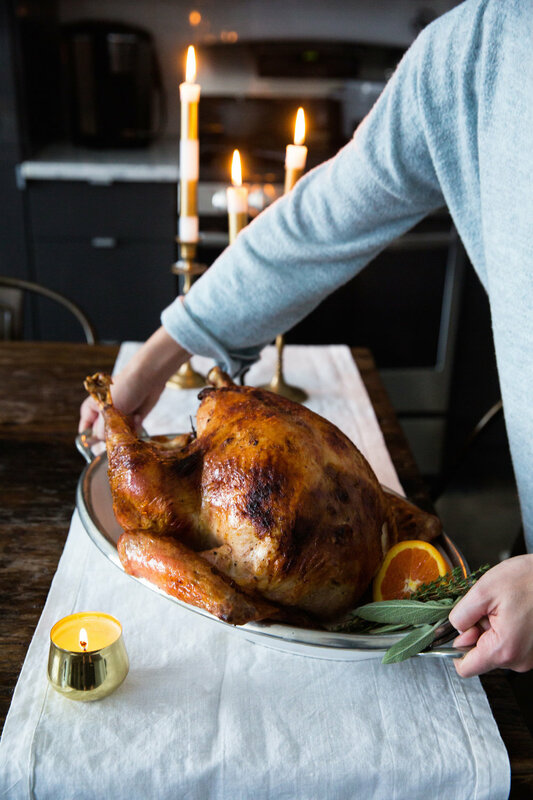 Now that i’m back home in Memphis and getting Friendsgiving and Thanksgiving festivities underway, I’m so excited to share that fresh traceable Honeysuckle White turkeys will be available by Thanksgiving at more than 3,500 retail stores across the Midwest and several other markets, including Denver, Nashville and Seattle. You can do a quick search on the Honeysuckle White website to see where to purchase your traceable Honeysuckle White turkeys. Honeysuckle White traceable turkeys are also available, in a limited quantity, on Amazon, and non-traceable turkeys are available in the debut HelloFresh Thanksgiving kit! Honeysuckle White is committed to food transparency and helping to put delicious, nutritious food on the family table. They exude how technology can positively shape the food system of the future. Through traceability, Honeysuckle White aims to connect consumers across the country with the farmers that raise our turkeys. Scroll for my go-to roasted recipe that totally shows off the bird without breaking your back. You’ll die over this rosemary glaze, too! 1. Place salt, brown sugar, garlic powder and dried rosemary in a small bowl. Work with fingers until incorporated. Place turkey on a wire rack set inside a rimmed baking sheet. Sprinkle and pat brine all over outside and inside of turkey, nudging some into crevices. Chill bird, uncovered, for at least 12 hours and up to 2 days. 2. Remove turkey from rack and rinse baking dish. Line with 3 layers of aluminum foil and set rack back inside. Place turkey, breast side up, on rack and tuck wings underneath. Allow turkey to sit at room temperature for 2-3 hours. 3. Preheat oven to 450 degrees. Loosen skin on turkey breasts and spread 2 tablespoons of butter underneath skin atop both breasts. Smear outside of turkey with another 2 tablespoons of butter. 4. Tie legs with kitchen twine and transfer turkey to oven. Pour 1 cup water into baking sheet and roast, rotating pan after 15 minutes, until skin is golden brown, approximately 30 minutes. 5. Meanwhile, heat 4 remaining tablespoons of butter, vinegar, honey, Worcestershire sauce, rosemary, garlic, and orange zest over medium heat until bubbling and slightly thickened, about 7 minutes. Reduce heat to low to keep warm. 6. 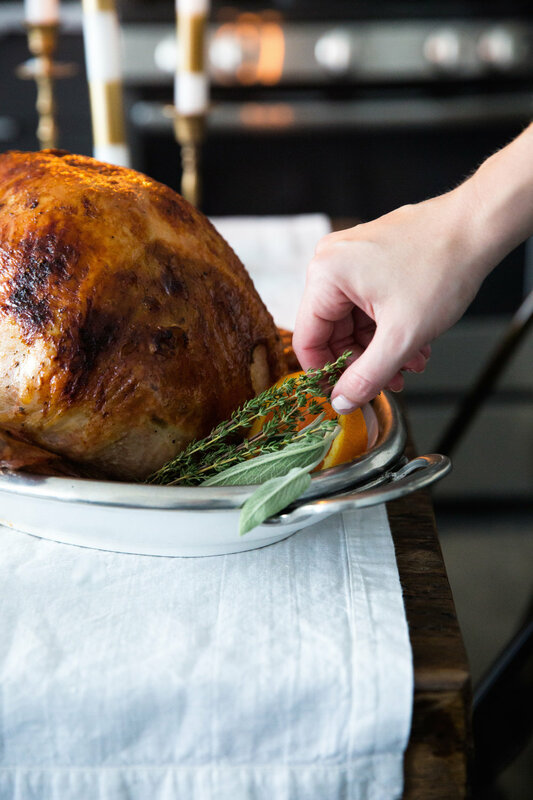 Reduce oven temperature to 300 and continue to roast turkey, brushing glaze every 30 minutes and adding an additional 1/2 cup of water to the baking sheet to retain liquid. Continue until the thickest part of breast reads 150 degrees on an instant-read thermometer, about 60-90 minutes longer when skin reaches brown, crisp and shiny look. 7. Transfer turkey to a cutting board and allow to rest 30 minutes before carving. This post is brought to you by Honeysuckle White and sister-brand Shady Brook Farms. Thank you for being supportive of my sponsors!